The finest Custom Wardrobes in the East Midlands. To complement today's minimalist lifestyle, we offer made to measure sliding door wardrobes in a comprehensive range of finishes. You can take advantage of our design and fit service or fit them yourself. Either way you can organise all your storage needs behind closed doors and simplify your life. You don't need to limit yourself to the bedroom either - we offer designer doors smart enough to enhance your living and working areas too. We are a family run business. In June 2006 we celebrated our 10th anniversary, and over half our business comes from recommendations. All our staff are employed and we use no contractors and our aim is to bring an efficient, friendly and professional service to our customers. Here at Sliding Door Wardrobes we specialise in beautiful, bespoke, sliding wooden wardrobe doors to complement any bedroom furniture and decoration. We have a range of different wood effect finishes including, Wenge, Antique pine, Pearwood, Beech, Limed Oak and Cherry so we are confident we will have the ideal material to construct your sliding wardrobe doors from. Our wooden wardrobe prices are among the most affordable in the East Midlands, so when you're looking for cheap wardrobes call us today at Sliding Door Wardrobesfor an unbeatable service. Glass bedroom wardrobe doors are hugely popular because of their versatility, as well as their attractive and practical qualities. Here at Sliding Door Wardrobes we have a huge range of sliding glass wardrobe doors in many colours. So whether you want to make a statement with bold and dramatic red or black wardrobes, or would prefer to create a calmer atmosphere with pastel shades of blue or lilac we have the perfect glass wardrobe doors for you. We always start our service with an individually tailored free quotation and design. Then our fitters will arrange a time to come to your home and install your fitted wardrobe to the highest standards. We are incredibly proud of the workmanship and professionalism our fitters deliver to our customers and the installation of our glass wardrobe doors is no exception. 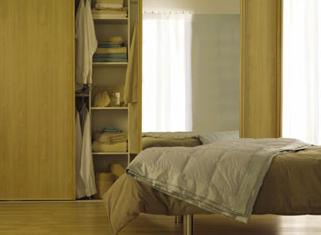 Mirrored wardrobe doors are the ideal way to turn a small, dull bedroom into a bright spacious room. The reflection maximises the amount of natural light whilst giving the illusion of more space, making them a practical and beautiful wardrobe door solution. Sliding mirrored wardrobe doors are hugely popular because of their many design possibilities. Here at Sliding Door Wardrobes we offer a huge range of traditional and more contemporary mirrored wardrobe designs to suit any bedroom decoration. Our patterned or bevelled mirrored sliding doors can be tailored to suit your exact tastes and requirements and we can frame them in an array of different materials; so whether you'd prefer a patterned wood effect or a more modern minimalistic metal frame we can help. We offer the most affordable mirrored sliding door wardrobes throughout the East Midlands but will never compromise on our excellent service and high quality products; so for a free quotation and design give us a call today at Sliding Door Wardrobes. Here at Sliding Door Wardrobes we are constantly updating our techniques and finding new materials to use so we can create the most beautiful, practical and durable sliding door wardrobes. Our coloured wardrobe doors are some of our most popular as the panels can be constructed of glass lacquered in almost any colour to complement your bedroom and decor. We can assemble your sliding wardrobe doors to your exact specifications; from one simple colour to a combination of panels in different colours or materials, including mirrored or wood effect panels. We can design it and install your perfect coloured wardrobe doors at the most cost effective prices in the East Midlands. Whether you'd prefer dramatic blocks of black and red, oriental white with striking black frames, or pastel shades of lilac and cream for a more subtle tone, we can create different effects to suit the theme of your bedroom. We take great pride in the design of your sliding wardrobe doors, so for the best fitted wardrobes in the region call us today at Sliding Door Wardrobes. Here at Sliding Door Wardrobes we take great pride in our variety of patterned wardrobe doors at cost effective prices. Whether you'd prefer your wooden effect doors to have a touch of traditional styling or your mirrored doors to have contemporary frosting to match your existing bedroom design we can help. Our versatile design service means we will customise any patterned wardrobe doors to provide that personal touch. Whichever type of sliding wardrobe doors you've chosen we can either lacquer colours or etch your design onto glass doors or decorate frames and wooden panels to compliment your existing bedroom furniture and decoration. One simple call to Sliding Door Wardrobes can arrange a measuring and design consultation so we can provide you with a free, cost effective quotation. So if you're in the East Midlands area and would like to update your wardrobe with beautiful new sliding doors, call us today! Many people offer huge 'discounts'. This is rarely factual as their 'discounted price is often higher than our price because of our Honest Pricing Policy We beleive that our prices offer fair value for money.